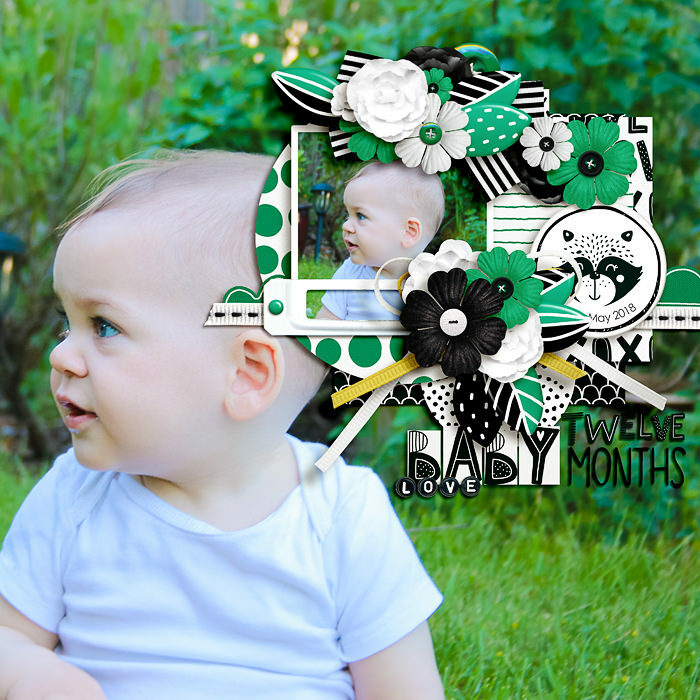 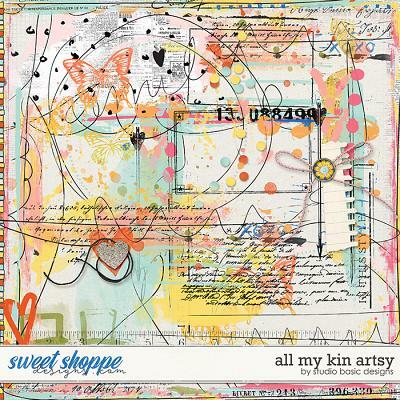 Scrapping baby pictures couldn't be more cute than with this adorable Scandinavian-inspired baby kit by Janet Phillips. 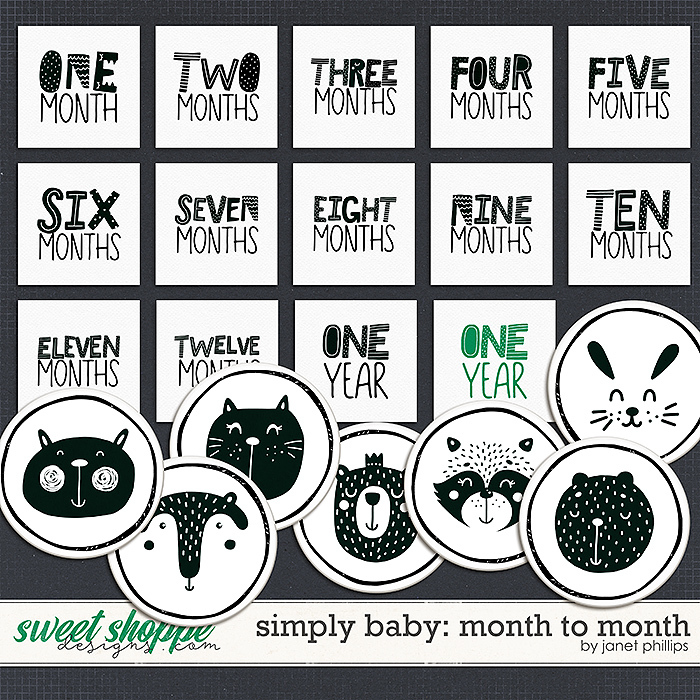 Simply Baby is as it sounds...filled with simple designs that make a BOLD statement. 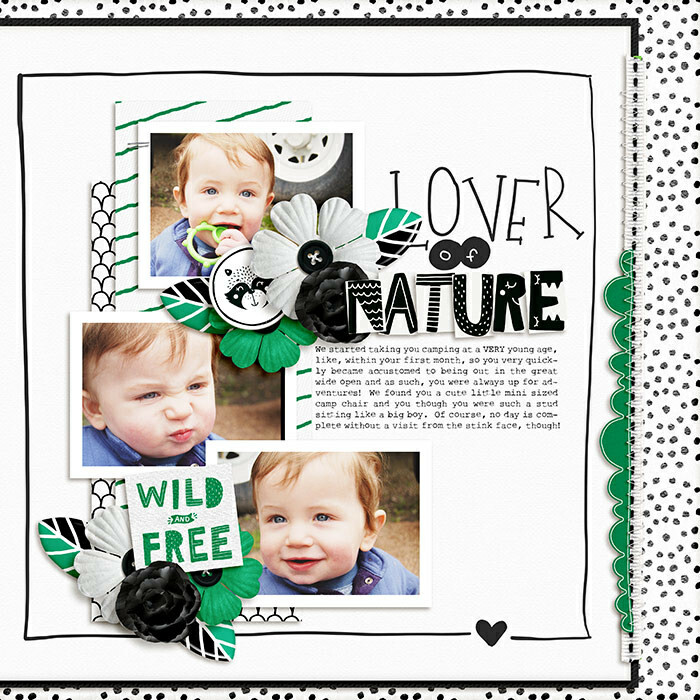 Lots of black, white, and green provide a basic palette to let the designs really stand out. 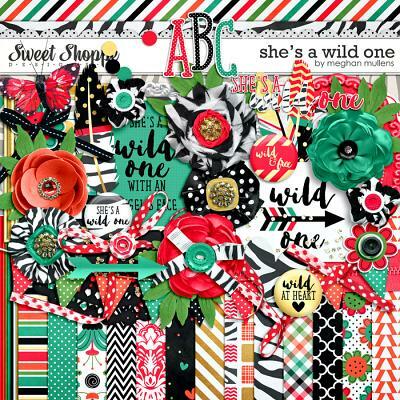 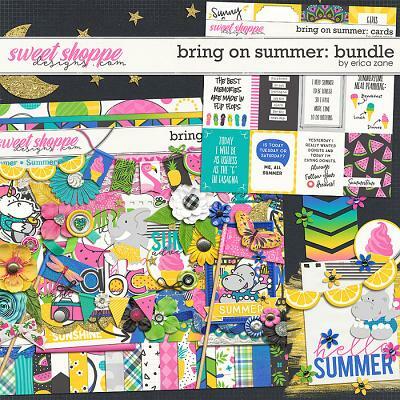 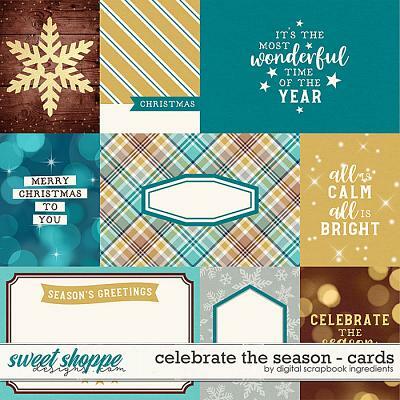 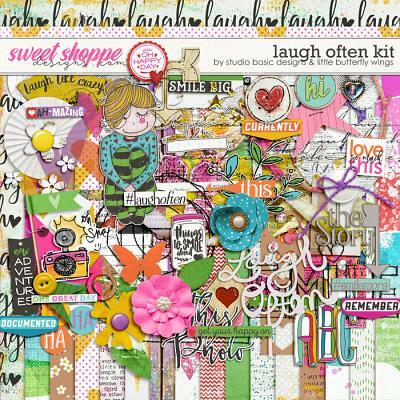 This kit includes 23 papers, more than 100 elements, a full alphabet, and month-to-month cards from one month to a year.